This third eye warm herbal oil dripping treatment pacifies Vata dosha, reducing anxiety, restlessness, irritability, nervousness fear & excessive thinking. It calms the central nervous system and integrates the mind and body to a relaxing state of being, bringing you to a natural meditative state. The effect of this treatment heightens awareness, improves mental focus, and promotes better concentration. It relieves symptoms of insomnia, anxiety, stress, fatigue, as well as, tension, worry, fear, headaches, depression, nourishes hair and helps hair loss/fall. 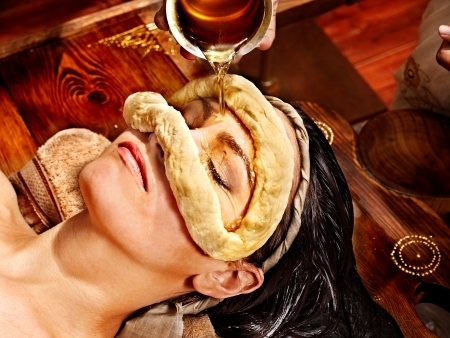 The treatment also rejuvenates the face, lessening wrinkles and increases spiritual awareness. This treatment consists of medicated oils pooled at the retained covering of gram flour over the lower back for the purpose of relieving pain. Herbal or medicated oils will lubricate the joints, maintain the fluid in joints, as well as, help provide support to the structure of the joints. The treatment also improves the mobility of joints and blood circulation. Are you one that likes to keep things natural and stay away from chemical based products? Then My Natural way of taking care of skin is for you. If you are a fan of LUSH fresh handmade cosmetics, then you will love my approach to skincare. Keep your skin looking clear and flawless as you age, Sustaining that natural luster and glow. Using the Ancient wisdom of Ayurveda (Science of Life). 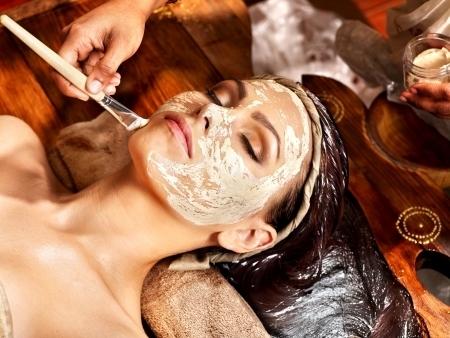 My Masks, scrubs, cleansers and moisturizers are all developed from Ancient Ayurvedic beauty principles. Reveal your skins natural beauty with personally customized rituals to heal and balance. Gentle Natural exfoliating scrub to remove impurities and any dead skin cells that dulls the skin tone. Renewing your skin cell production to keep it supple and vibrant. End with a personalized Face Pack. Create a nourishing earth mask using freshly blended herbs, essential oils that bring radiance to all skin types. This Transformational facial tones, polishes, and rejuvenates. Following herbal cleansing and marma (vital point) massage, which helps increase blood flow to stimulate collagen production and circulation in the face giving it radiance and glow. Using herbal mixtures that cleanse tone and polish. Delivering botanical nutrients deep into the skin. Improved vision with beautiful eyes and strengthening of eye tissues. Reduces dark under eye circles, if done on a regular basis. Lipid structure in ghee is similar to the body’s natural lubrication, making it nourishing for optic tissue. 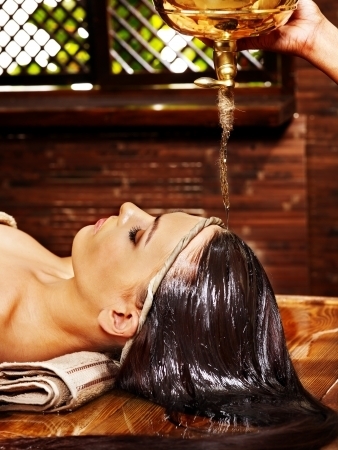 This treatment is a full body relaxing massage with medicated herbal oil applied to the entire body. This treatment will help to pacify the doshas, lubricate the joints, tone the muscles, increase circulation, calm the nerves, provide softer and smoother skin, and increase mental alertness. This treatment consists of cotton cloth poultices filled with herbs and applied over specific areas on the body. This treatment helps to relieve pain and inflammation. This treatment consists of medicated oils pooled at the retained covering of gram flour over knee joint for the purpose of relieving pain. Herbal or medicated oils used will lubricate the joints, maintain the fluid in the joints, as well as, help provide support to the structure of the joints. This treatment also improves the mobility of joints, while reducing the pain and stiffness in the knee joints.